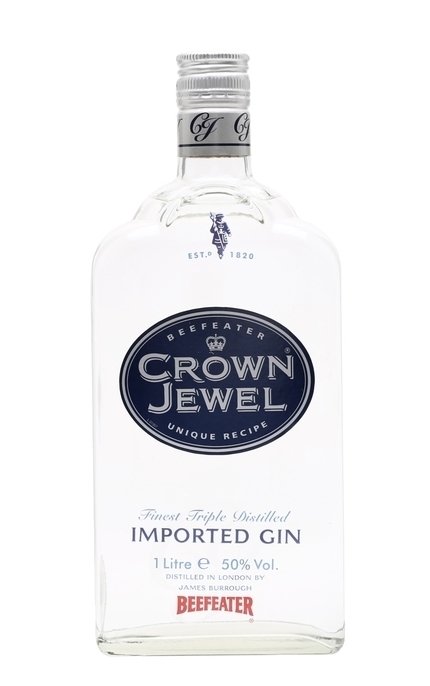 The original Crown Jewel bottle (third on our scroller) was clear with a silver Crown Jewel logo presented on a royal blue oval crest. The distinctive tall rectangular purple bottle with is angled edges was the second, more gregarious incarnation (second position on our scroller). 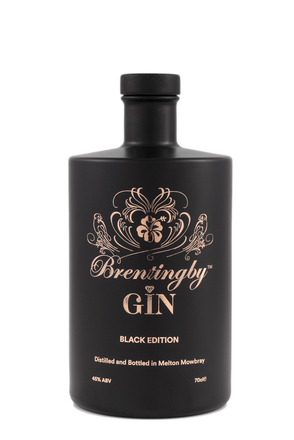 This gaudy bottle remains unchanged for the 2015 release but the screen printed graphics have been subtly updated for the relaunch. 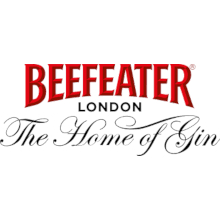 The Beefeater brand has been raised from the bottom of the bottle to a more prominent position at the top while the “Peerless Premium Gin” italics have been lowered. The new bottling also features a batch and bottle number, neither of which featured on the original bottling. Sadly, the new bottle is sealed with a piece of tree bark (cork) while the previous bottling had a more sensible synthetic stopper. The purple bottle features a raven swooping down to clutch an orb formed by the ‘o’ of ‘crown’: a reference to the ravens who have lived at the Tower of London for centuries. Legend has it that if the ravens ever leave the Tower then the castle's White Tower, the monarchy, and the kingdom will fall. Perhaps for safety's sake then, the ravens' wings are clipped to prevent them from flying away. In homage, the names of the eight ravens presently at the Tower are listed down either side of the back of the bottle. The previous bottle only listed six ravens as that was the number resident at the time. Of those first six ravens only Hugine and Munin survive. 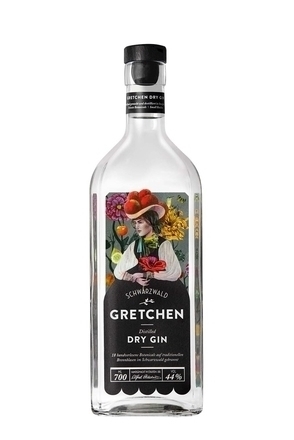 This re-release is made using the same recipe as the original Crown Jewel using the same nine botanicals as the standard Beefeater gin (Tuscan juniper, coriander seeds, liquorice, orris root, Seville orange peel, Spanish lemon peel, Spanish bitter almonds, angelica root and seeds) with the addition of a tenth botanical, grapefruit peel. Indeed, it was this recipe for Crown Jewel that inspired Desmond Payne to add two types of tea to make Beefeater 24. Incidentally, the Crown Jewels include crowns, sceptres, orbs, swords and rings worn by the reigning and previous sovereigns of the United Kingdom at state functions. 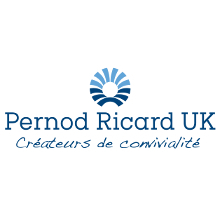 It is the world’s most valuable collection of jewellery. (sample batch No.1, bottle No. 1425) Crystal clear. 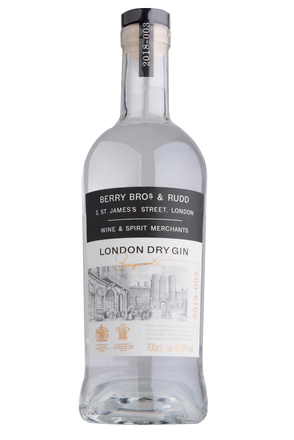 Pronounced zest citrus – orange and grapefruit – with bursts of pine fresh juniper, parma violets and gentle spice. More citrusy (although less orangey) and at a higher alc./vol. 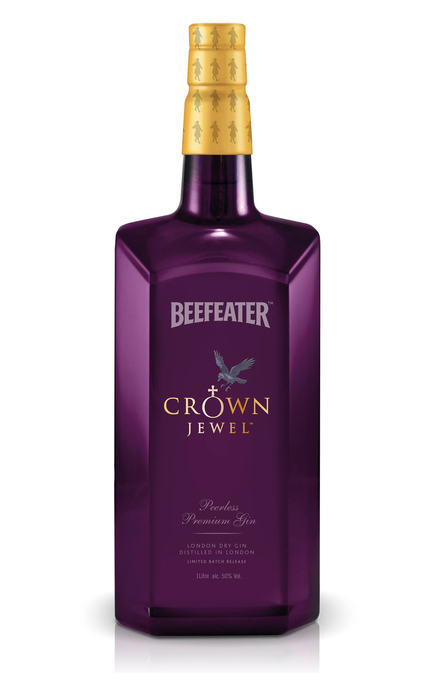 than regular Beefeater, Crown Jewel bursts onto the palate yet is rounded and dry with plenty of juniper plus hints of parma violets, candied citrus peel, liquorice and zingy white pepper. Refreshing and cleansing pine finish fades with white pepper tingle.